Most Iron & Wine fans already know the legend: Sam Beam, working as a film professor at the University of Miami, recreationally recording dozens of lo-fi bedroom demos in his spare time. Selections of those demos, of course, ended up forming The Creek Drank The Cradle, Beam’s 2002 breakthrough Sub Pop debut that immediately topped year end lists and set the course for Iron & Wine’s following decade as one of the pre-eminent indie folk acts in the country. For years, fans and critics wondered about the rest of the four-track demos Beam recorded during the fruitful recording sessions. 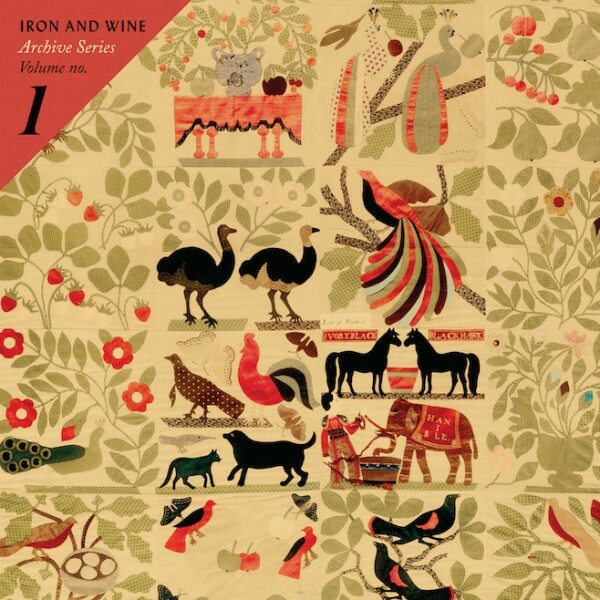 For the first release in Iron & Wine’s archival series, Beam has decided to release those very demos: Archive Series, Vol. 1 is a collection of 16 pop prayers and private whispers that offer a striking alternate version of Iron & Wine’s mythic inaugural release. The release hits its stride a few songs in, on the sweetly haunting “Eden,” which finds Beam at his high-romantic best: “Whisper in my ear/ Everything my dear/ Every wicked vision that you carry,” Beam sings in the gentle devotional. Beam is at his best here when he slows his songs down and draws them out, diving deep into one of his meditative melodies until it takes the song somewhere unexpected, thrilling: “Say what you mean to her/ Washing a colander/,” he sings in “Minor Piano Keys,” finding quiet drama in the quotidian. Other highlights, including “Beyond The Fence,” “Halfway To Richmond,” and “Judgement” are every bit as long, and better off for it. The latter, in particular, with its driving rhythm guitar and droning, addicting melody, is an instant Iron & Wine classic: “Judgement comes when I’m all alone/ Like a spyglass on the furthest coast,” Beam sings, in a daring moment of self-reflection. With its excess of long-lost first-rate material, Archive Series, Vol. 1 is truly a treasure trove for Iron & Wine fans.